Charlie Chaplin had an unbelievably hard childhood in London. This is a fascinating look at the Chaplin people may not know. His father, an actor and singer, left the family when Charlie was a baby. His mother, also a singer, made a meager living with her singing, but her voice left her when Charlie was only five. That was the exact age Charlie was when he discovered he could make people laugh and cry with his antics. The family wound up in the poor house, with his mother being ill. His older brother was off hanging around with and working with boys his own age, leaving Charlie all alone. But Charlie continued to entertain. He reached the heart of a promoter, who sent him on a tour of America. Eventually, he entered silent films, doing nearly every job related to that industry. The collage and ink illustrations create silhouettes more than appropriate for a star who, though he was very famous, broke into movies without a voice. Readers will not only learn about one of the most famous stars of all time, but they will find out how a person can rise from the most squalid of circumstances to the highest heights. 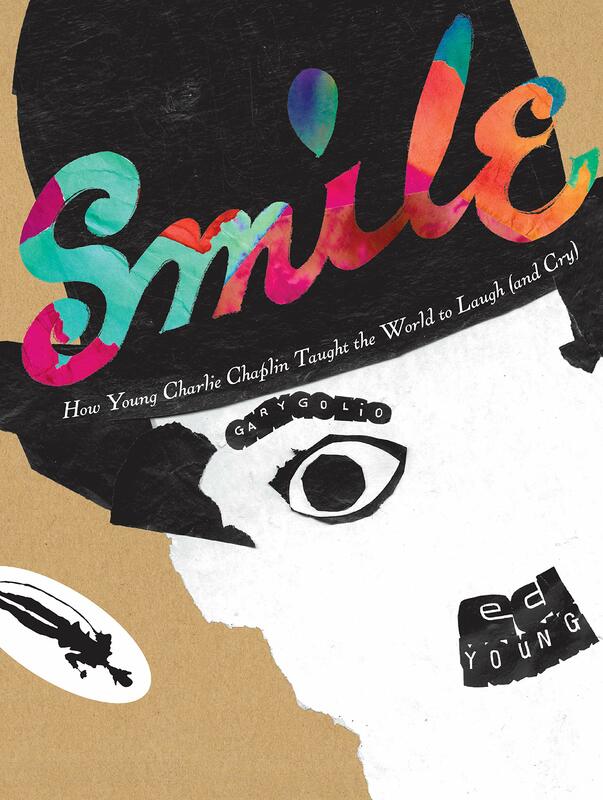 Since Chaplin often made people both laugh and cry at the same time, readers can also explore the relationships of many emotions.